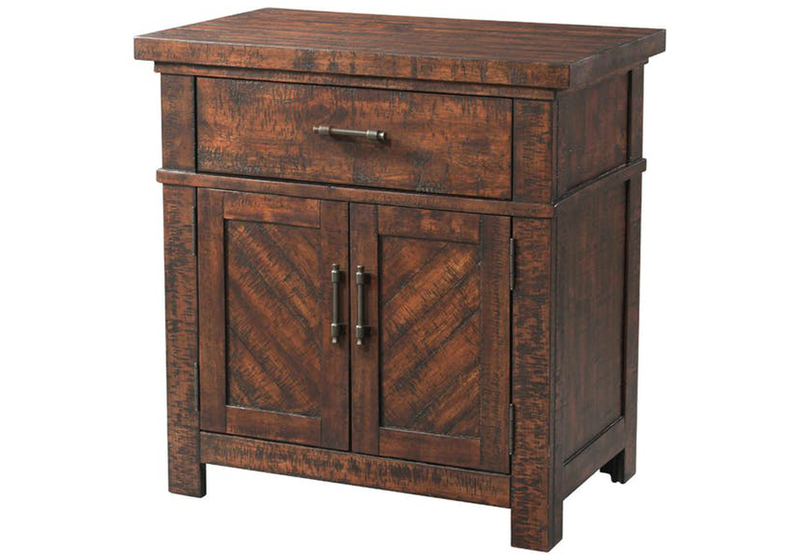 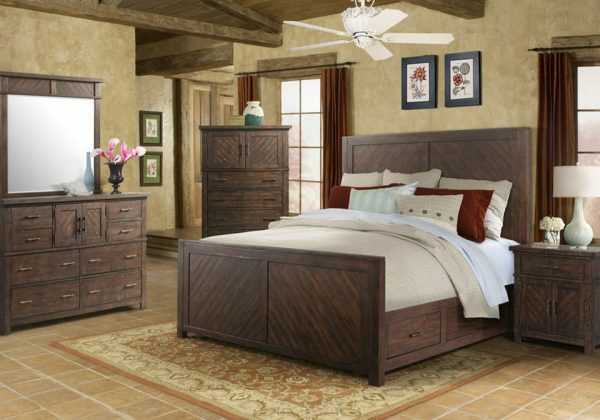 Add warmth and rustic design to your own bedroom with the Jax queen storage bedroom set. Dressed in a warm, smoky walnut finish, the bedroom set features rich distressed woodgrain detail and a sleek wood panel design. The spacious under bed storage adds convenience, keeping you organized while bronze finished pulls on the dresser and nightstand complete the look. 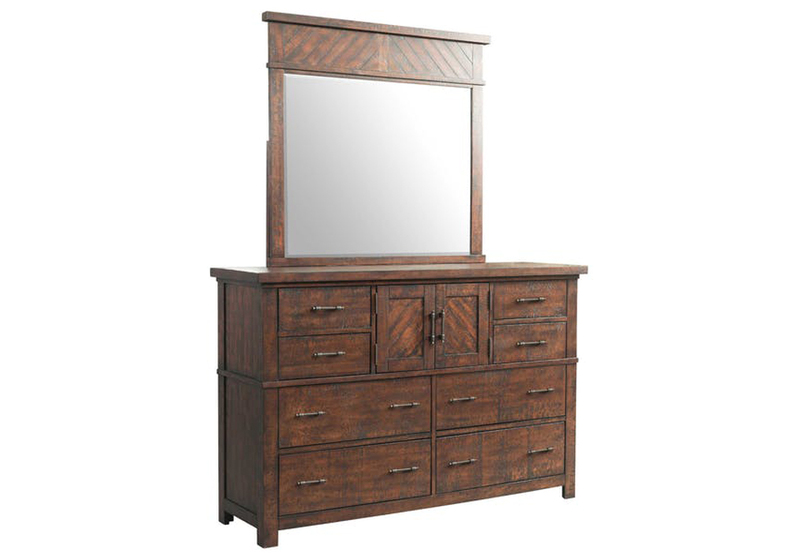 The wonderfully rustic mirror adds the finishing touch to this charming bedroom set. *The Jax queen panel bedroom set features a queen panel storage bed, dresser, mirror, and night stand.